Thanks, Chauncey! It was fun to finally meet up and hang out a bit- sorry it wasn't more! 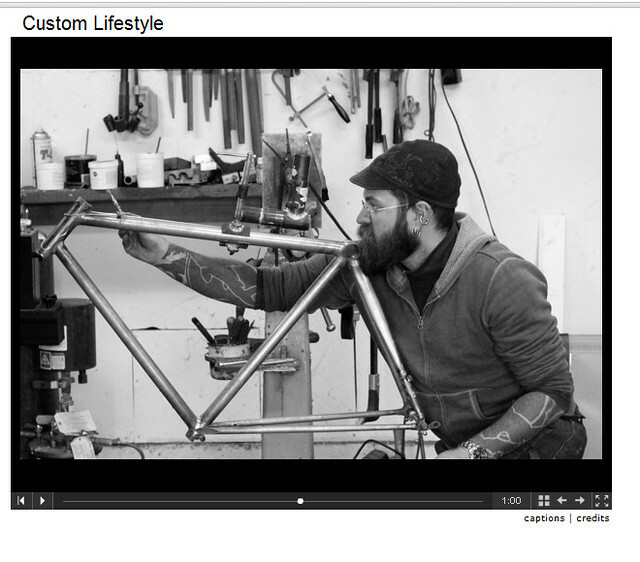 I have been slowly leaking process shots of a stainless commuter I have been working on. While technically still "in process" I decided to assemble it and bring it with me the the San Diego show. This bike fits in with a lot of my city bikes- nimble handling with a slightly more relaxed position for in-traffic visibility and general town riding. As is my personal taste, this one is on the sportier end. Last edited by Eric Estlund; 04-15-2011 at 01:52 AM. "Let me ask you, if there were one type of bike you would really love to build the most, the one type of project where you'd be totally psyched to get the order, what would it be?" "Ooo- that's a tough one. I've been really into the fender-ed high performance/ non racing bikes I've been doing a lot of lately. That said, I've been up at night with a particular track bike idea I'd love to do. Something I'd love to be cut loose with. No hiding, straight up aggression (but in a sweet way). It really depends, I seem to get lucky and build my dream bike all the time- then the dream changes with the next one." 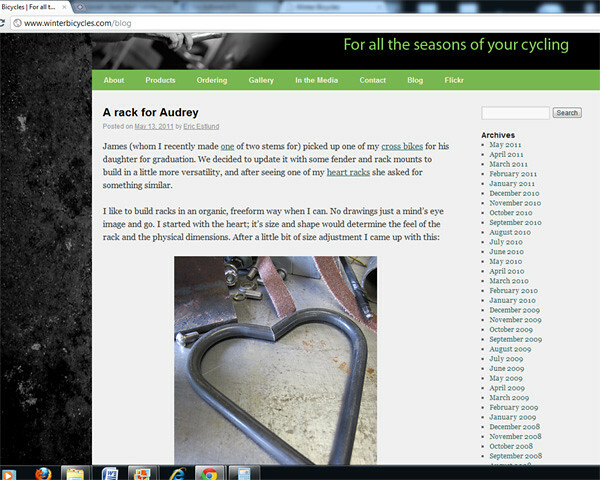 I work in a pretty interesting position- I get to fill in the blanks on other peoples dream bikes. I get to share in their obsession, and get the release of the finished and see the possibilities when the next dream bike comes up. I can spin it little twists and turns, add details, and generally bring into focus the wispy idea that has been floating in their heads. So I'll end with the same question I ended that email with: You- what have you been jazzed on? Last edited by Eric Estlund; 04-24-2011 at 01:25 AM. Bryan took the train up Sunday- after a quick test ride around the neighborhood he loaded up his new Winter and promptly departed for the home stretch back to Eureka, CA. Not a bad shake down ride. 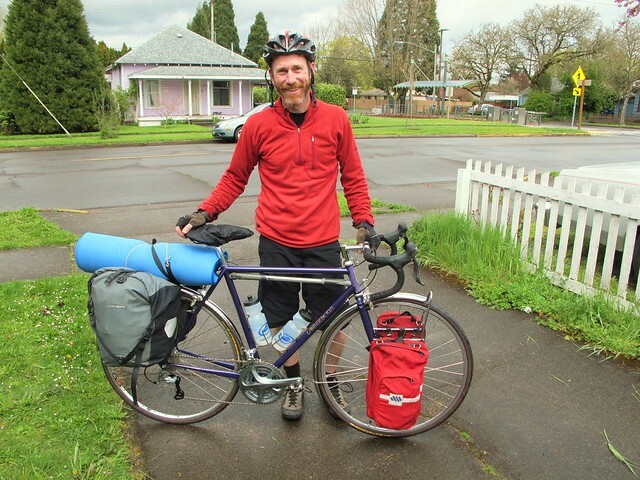 I received word from Terri (Bryan's wife) that "Bryan called yesterday afternoon from Reedsport - it had finally stopped raining, was still windy and he was still very, very happy to be riding and camping out with his new bike." Thanks, Terri! I'm very much enjoying the coffee- the chocolate went down immediately. Terri wrote me: "Bryan rolled into Eureka 15 minutes ago and has hit the shower. He had a sunny last day of the trip :-D...and (made it home early with) easily 45 minutes of daylight, too. It is a beauty of a bike, Eric. The children swept up all around the bike rack so it'd have a sweet spot for it's first night." I love it- buy it, ride it hard, and put it away happy! PS- Terri, thanks again for the coffee. Off to brew more! Last edited by Eric Estlund; 04-29-2011 at 12:32 PM. We updated the web site- fresh look and better galleries! Looks great Eric! I always liked your logo. Very stylish. Classy. Today we moved the blog over to the site as well. Folks already following it should be automatically connected, but having it integrated will hopefully be easier for new folks to keep track of. Last edited by Eric Estlund; 05-13-2011 at 11:02 PM. The current issue of Bicycle Times printed quite the spread on NAHBS with 12 builder profiles. 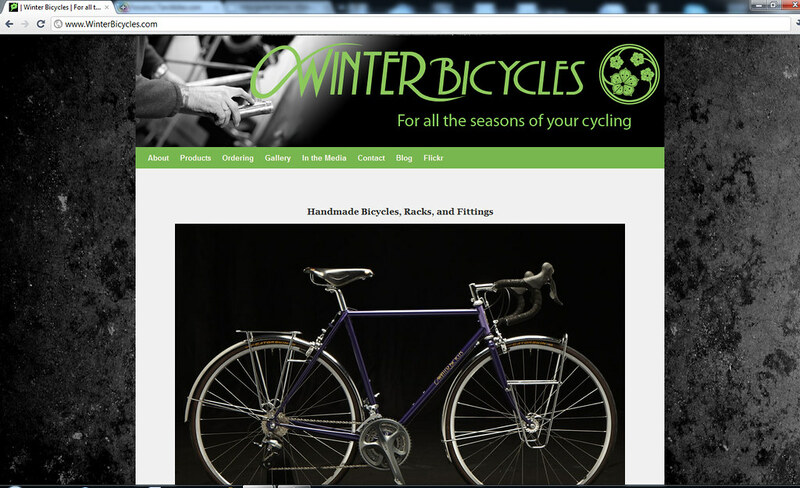 I was pleasantly surprised to get an email from a friend mentioning Winter Bicycles received half of page 39- take a peek! Thanks to BT for coming out and covering the show. It's been a good week for me with the press- two articles I wrote for Momentum Magazine were cover features for their supplemental Special Edition Gear Guide. 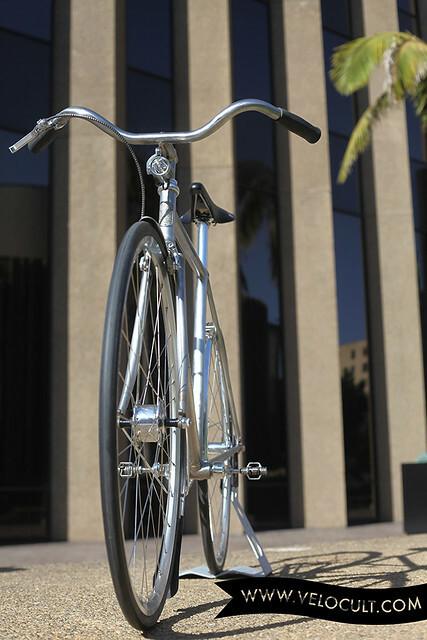 "How to Choose a City Bike" on p.3 and "Internal and External Gearing Options" on p. 12. Check them out online or pick up a print version! Well deserved Eric. You're working through technical building issues with a ton of skill. Thanks, Craig. I've been enjoying working on some fun projects as of late. 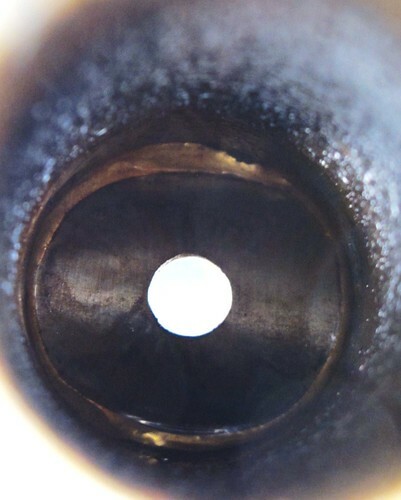 That inner ring is brass pulled in from the outside. This is called an “internal fillet” (pretty descriptive name, eh?) and both shows good filler penetration in the joint due to proper heating and acts as an internal brace increasing the strength of the structure. It’s a fun shot I can’t really take on a frame, but as I build stems in pieces it’s neat to get an inner glimpse. The fillet in the second shot has a nice and even width, is consistently shaped and evenly feathers at the edges and is what the out side of an evenly heated strong fillet looks like. The smooth surface and even edges also make the cosmetic clean up and shaping move along pretty quickly. 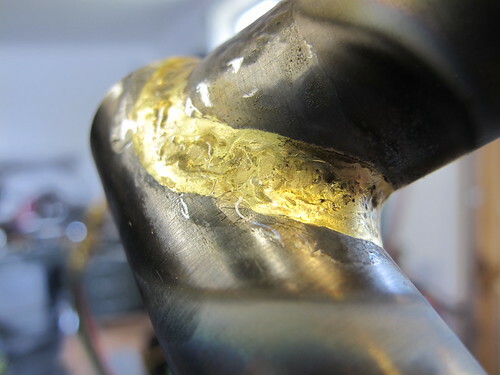 A little more of the story on that particular stem can be found here. Last edited by Eric Estlund; 06-09-2011 at 11:22 PM. Well the old digs are tiny. After about 6 months or so of bumping into stuff my wife and I decided that a) we like Springfield and will be here for a bit, and b) the current location isn't cutting it. So we're buying a house 3 blocks away that meets our needs. Loading dock, overhead crane, the whole deal. 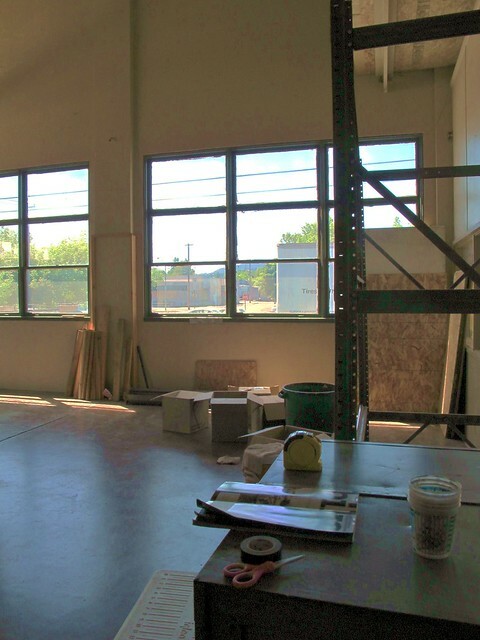 Tons of natural light, and no more bumping my head! I can't wait. Last edited by Eric Estlund; 07-09-2011 at 03:48 PM. Wow, Eric that looks really nice. Congrats on being able to get into the new space. Do you have a general timeline for the move? Oh, if you need help moving the big, heavy stuff I'll most likely be out of town that weekend. It will be fantastic- I have some storage stuff and the lathe there now and will have a pallet of materials delivered this week. Once I wrap up this last project I'll transition- hope to be move in and functional in the next couple of weeks with 5-7 days of change over and set up. That may be optimistic so I might precut or otherwise prep the next couple of frame before I pack up this location. It's only about 8-10 miles away, so I'll be doing a bunch of micro runs with the heavy stuff.